Masskrugstemmen, or beer Steinholding, is a relatively new competition in America but here's everything you need to know about it. Q: What is Steinholding / Masskrugstemmen / stein hoisting? A: Steinholding is a traditional Bavarian strength contest in which competitors hold a full one-liter beer stein (or Masskrug/Mass in German) out in front of their bodies with a straight arm, parallel to the ground. You go as long as you can and the last man hoisting is the winner. For more details on the rules, see our official steinholding rules page. Q: How do you pronounce "Masskrugstemmen"? A: Mahss-kroog-stem-men, approximately. Or you can just call it Steinholding. Q: How much does the stein weigh? A: A full one-liter stein should weigh approximately 5 pounds or 2.25 kg, whichever you prefer. Q: How do you practice for a competition? A: Everyone is different, and being in good athletic condition helps, but to put it bluntly, you basically just practice holding a stein a lot. If you're serious about competing, see our beer steinholding training section with training tips from national champions. Q: How long should a normal person expect to last in their first competition? A: Your typical guy can usually last somewhere in the 3-5 minute range, with ladies lasting between 1-2 minutes. If you can go longer than that, following all of the official competition rules, you should definitely find out where to compete in Masskrugstemmen so you can take a shot at qualifying for a national level competition. Q: What is the world record for Steinholding? A: There isn't currently a world-level competition, so until we find someone somewhere else in the world to challenge our U.S. competitors, we're going to consider the U.S. National Record to be the World Record. 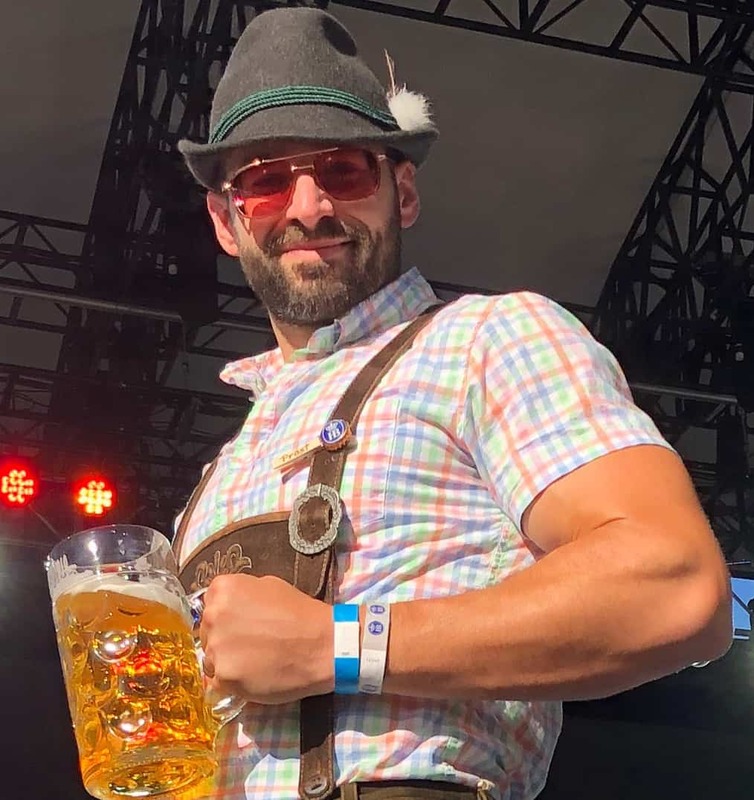 U.S. Men's National Record is currently 21 minutes, 17 seconds, set by Michael Tyler at the 2018 Lenny Coyne Memorial Hofbräu National Masskrugstemmen Championships at the Steuben Day Parade and New York City Oktoberfest. The U.S. Women's National Record is currently 5 minutes, 2 seconds, set by Emily Pagel at the 2018 Lenny Coyne Memorial Hofbräu National Masskrugstemmen Championships at the Steuben Day Parade and New York City Oktoberfest. 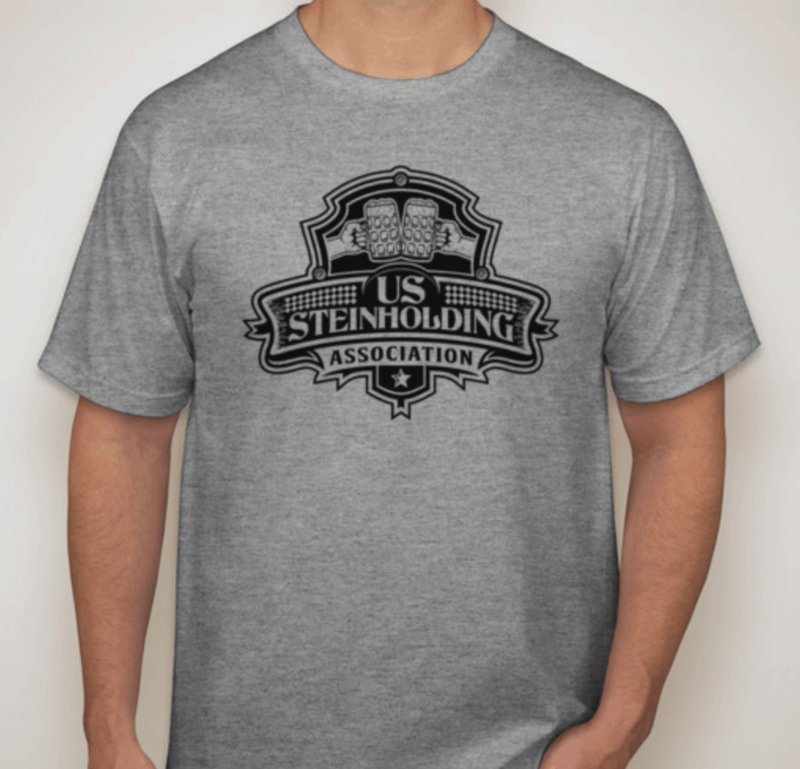 We are working toward listing all Previous National and Regional champions on our Steinholding Competition Results. Q: I am the kind of maniac that wants to experience the thrill of holding a beer stein further from my mouth and for a longer amount of time than nature ever intended. How do I find a competition? A: You are a special breed, my friend- welcome to the party. There are lots of local, regional and national level competitions across the country, check out our map for where to compete in steinholding. If you know of a restaurant, festival, or other venue that holds competitions, tell them to get in touch with us so we can add them to the map!